THE STORY - When Harvard Ph.D. student Jennifer Brea is struck down by a fever that leaves her bedridden, she sets out on a virtual journey to document her story as she fights a disease that medicine forgot. THE GOOD - The film offers a persuasive and heartbreaking look at the scope of chronic fatigue syndrome, and it has the power to galvanize people into action. “Unrest” confronts a disease – chronic fatigue syndrome, a.k.a CFS or myalgic encephalomyelitis - that has long been dismissed by medical professionals, comedians, and pundits alike as a psychological construction. The documentary film implores society to view and treat the disease as it really is: a crippling physical condition that can render people bedridden and incapable of basic function; a medical crisis in need of international attention. “Unrest” succeeds as a symposium intended to educate the public on the paralyzing force of CFS, and as a call for reform and innovation in the ways in which we combat the syndrome. The film’s virtues, though, are not limited to its exposition. This is also a documentary focused on the humanity and resilience of people who refuse to let their disease be the defining aspect of their lives. “Unrest” is the first documentary feature from Jennifer Brea, and it is borne out of her own experiences as someone who has CFS. The footage shown in the movie dates back a few years when Brea first suffered from the symptoms of CFS and decided to document her debilitating physical and cognitive struggles on camera. As Brea’s condition worsened and as her team of physicians and specialists became increasingly confounded by the disease, she started to connect with people from across the world who also suffered from CFS. Brea came to realize the scope of the disease and the negligent attitudes of many in the medical community who thought the disease was nothing more than a frivolous psychological disorder. She interviews a woman whose husband left because he did not understand the legitimacy of her condition. She interviews a family in Denmark who was traumatized by how doctors attended to their daughter as if she were a mentally unstable patient, when in fact she needed real medical attention for her CFS. She organized a worldwide movement - #MEAction – to initiate a more urgent and compassionate approach in policy and medicine. Brea’s filmmaking is much like her activism: courageous and honest. She provides an unfiltered glimpse into the impact that CFS can have on marriages and friendships. That includes Brea’s own marriage to Omar Wasow, a tech analyst, and professor who has appeared as a commentator on such outlets as MSNBC and “Oprah.” “Unrest” does not shy away from conflicts that can arise between couples living in the midst of a serious illness. The portrayal of marriage and family in the film, however, is ultimately one of love and cooperation. The bond that Brea and Waslow share is as elegant and heartbreaking as any big-screen romance. It is also powerful to witness the imagination and perseverance of the similarly diagnosed individuals with whom Brea communicates. 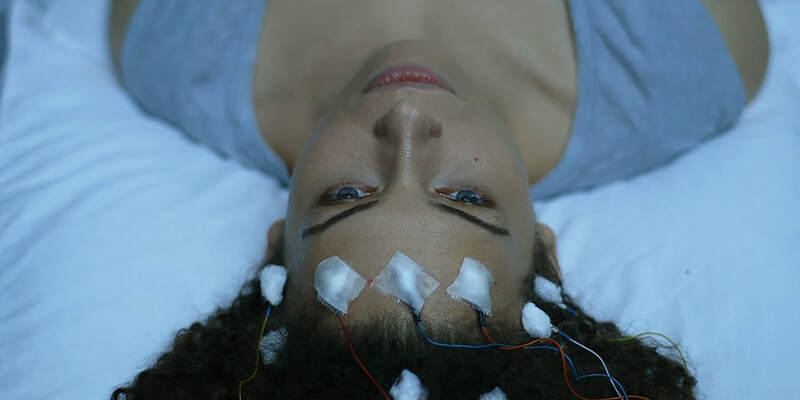 It is impossible for a single film to probe all of the factors that come into play when CFS comes into one’s life, and there are a few themes, such as Brea’s experimentation with alternative forms of medicine and the emotionally transporting ability of the human mind in the absence of physical movement, that I wished “Unrest” examined in greater detail. That minor quibble aside, there is no doubt that “Unrest” is worthy of its inclusion on the Oscar shortlist for Best Documentary Feature. Jennifer Brea has created a work with the potential to generate tangible progress on a relatively new frontier of medicine and public policy.